When it comes to moving, you should not regard it as an arduous process. You should aim to make it a smooth process. At Optimum Moving, we help both homeowners and renters take all the hassles out of moving. We are to go-to movers for both residential moving and commercial moving in Hoboken and that’s why we can guarantee that your belongings will arrive at your new home office on time and intact. Hoboken is a walk-able city located in Hudson County and it has certainly undergone many changes; one including it being a blue collar town before becoming a home to cool bars, hip restaurants, upscale shops and condominiums and more. What’s more Hoboken has made countless appearances in the media! Hoboken is one of the Hudson County’s cities that Optimum Moving serves. Our valued clients include both families and businesses. The median cost of the houses in Hoboken is about $516,916, and research shows that many families opt for houses with one to two bedrooms. 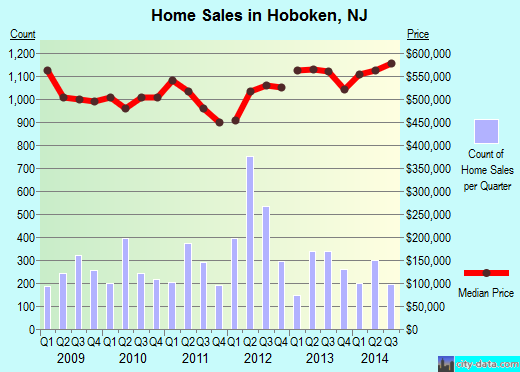 Nearly 45% of Hoboken residents lived in the same house for five years on average. Residents who bought condos and houses also live in their houses for 7 years on average, while renters live in their rented properties for an average of less than a year. Looking for a company that provides quality moving services in Hoboken? You will certainly not go wrong with Optimum Moving. Our moving solutions have benefitted many clients as we are well equipped to meet a wide range of moving needs and requirements. Need someone to disassemble or reassemble your furniture? No worries, we got that covered too. Try Optimum Moving today and take advantage of our affordable and secure moving services in Hoboken! Want to learn more about a Hoboken Move?